Science meets art in this ground-breaking exhibition revealing an unusual and previously unexplored aspect of Charles Darwin’s legacy – the impact of his theories upon artists of the late nineteenth century. Developed by The Fitzwilliam Museum in association with the Yale Center for British Art, Endless Forms: Charles Darwin, Natural Science and the Visual Arts offers an intriguing new perspective on the cultural resonance of Darwin’s theories. This landmark exhibition explores both Darwin’s interest in the visual arts and the vast range of artistic responses to his revolutionary ideas, through an astonishingly diverse selection of exhibits from around the world. 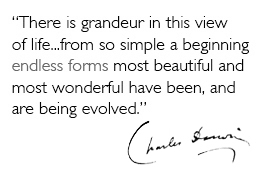 Endless Forms: Charles Darwin, Natural Science and the Visual Arts is arranged in a sequence of thematic sections. 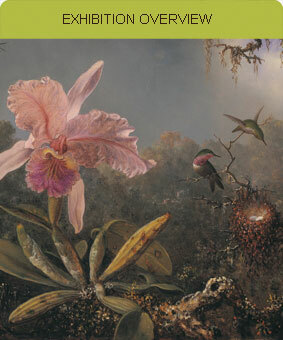 Together they highlight the significance of visual traditions for Darwin, and the often surprising ways in which Darwin’s revolutionary theories inspired artists in the later nineteenth century. It brings together a fascinating range of paintings, drawings, watercolours, prints, photographs and sculptures, from collections of major galleries and museums in Europe and America. Some of the paintings are by famous artists such as Turner, Frederick Church and the French Impressionists. Other spectacular works by lesser-known artists such as Bruno Liljefors, Félicien Rops and American landscapists will be a revelation to visitors. Art works will be seen in juxtaposition with scientific material of all sorts, from geological maps and botanical teaching diagrams to fossils, minerals, and ornithological specimens. They reveal the many interactions between natural science and art during this period. The History of the World features grand landscapes and scenes of prehistory inspired by new research in geology and paleontology, in which Darwin himself was immersed.